July 10, 2013 — Scientists led by Sean Morrison, Ph.D., Director of the Children’s Research Institute at UT Southwestern, have solved a problem that has long impeded researchers in their quest to understand the properties of blood-forming stem cells and their more specialized offspring. They have discovered that combined use of a related family of cell surface receptors known as SLAM family markers can distinguish several biologically distinct subpopulations of stem cells and multipotent progenitors in the blood-forming system. This in turn has provided a way to study the distinct properties of each of these cell populations with greater precision than previously was possible. As part of their research, Dr. Morrison and his team also examined the microenvironment in the bone marrow that nurtures the earliest blood-forming stem cells and discovered that these cells are all maintained in a perivascular niche created by endothelial cells and perivascular stromal cells associated with blood vessels. The pair of discoveries will improve the ability of scientists to work toward reproducing blood-forming stem cells in the lab and increasing the safety and effectiveness of blood-forming stem cell transplants. 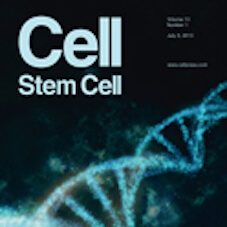 Read the published research in Cell Stem Cell.